Programs written using the Electron framework The Electron Open Framework and Why It's Awesome for Apps Development The Electron Open Framework and Why It's Awesome for Apps Development These days, there are many types of desktop devices and operating systems. Getting programs that work on all of them can be a challenge. Electron open framework solves this problem. Read More don’t have the best reputations. A lot of this has to do with the way they seem to use up a lot of resources. They are, after all, based off Google’s Chrome web browser How to Control Google Chrome's Memory Usage and Free Up RAM How to Control Google Chrome's Memory Usage and Free Up RAM Google Chrome can use up too much computer memory. These tips will reduce Google Chrome's memory usage and free up RAM. Read More , with all the benefits and trappings of it. That’s not to say that all of them are bad. In fact, there are a few out there which make use of the easy development the framework provides to do things which other previous programs have not. Here are a few such examples. Naturally, the program which lets you easily create bootable USBs Install Ubuntu On Your Computer Using a USB Flash Drive Install Ubuntu On Your Computer Using a USB Flash Drive Want to install Ubuntu but don't have a spare blank DVD? Don't worry! After downloadin the ISO file, you can use a highly-reusable USB flash drive to get the job done. Read More from disk images heads up this list. Etcher is simple enough to understand, but still complex enough to handle almost anything you throw it at. It also features things to keep the whole experience safe and reliable. There’s no real settings to tweak, and there’s no need to. All you need to do is choose the image you want to flash, and what USB stick (or SD card) to target. Plenty to get the job done, with no settings to confuse you. Etcher also has features to make the USB creation process more reliable. For example, it only detects writable external drives How to Format a USB Drive and Why You Would Need To How to Format a USB Drive and Why You Would Need To Formatting a USB drive is easy. Our guide explains the easiest and fastest ways to format a USB drive on a Windows computer. Read More , to prevent accidental wiping of your data. Along with this, it verifies if disk images are properly written, so you’ll know if you need to repeat the process (or get a new USB). Put shortly, it’s one of the best programs out there to write installation USBs Running Linux from USB: Are You Doing It Right? Running Linux from USB: Are You Doing It Right? Did you know that can keep data persistent, or even do a full install for Linux, on a USB drive? Take computing totally mobile -- stick a Linux USB PC in your pocket! Read More with, packaged in a clean, cohesive experience. It’s definitely worth the slight overhead Electron provides, especially since you won’t have the program open much. Technically, the Brave web browser Brave Is a Faster, Safer, Non-Google Web Browser Made for Today’s Internet Brave Is a Faster, Safer, Non-Google Web Browser Made for Today’s Internet Brave is a new browser known to be faster and safer than Google Chrome. How? Let us show you its unique features and their impact. Read More doesn’t really use the Electron framework, but it’s close enough to count. It uses a fork of Electron, called Muon, designed with a focus on browser features. For example, it has support for Chrome extensions, and a higher level of security. It makes sense to make a web browser using such a framework. It’s already based on web technologies, so you’re not really missing anything out. It will still be about as resource intensive as Chrome is Why Is Google Chrome Using So Much RAM? Here's How to Fix It Why Is Google Chrome Using So Much RAM? Here's How to Fix It Why does Google Chrome use so much RAM, especially compared to other browsers? What can you do to keep it in check? Read More , but at least it’s for browsing the web, so that’s fair enough. And Brave has extra features that the shoulders it stands on does not. Its main attraction is Brave’s built in advertising and tracking protection It's About Ethics in Stealing Games Journalism: Why AdBlock Needs to Die It's About Ethics in Stealing Games Journalism: Why AdBlock Needs to Die A simple, free browser plugin killed Joystiq – and is ruining the Internet. Read More (or shields as they call them). Brave by default filters out this content, to help speed up browsing. It also provides people with a way to contribute to websites they value, paying them back while also avoiding these ads. Plus, thanks to its focus on privacy, Brave has some things which Chrome doesn’t. For example, it’s actually possible to clear browser history on exit How to Manually & Automatically Clear Your Browser History How to Manually & Automatically Clear Your Browser History The websites you visit leave tracks on your computer. We show you how to delete your browsing history in Firefox, Chrome, Edge, and Internet Explorer. Read More , along with other things. In comparison, Chrome can only do this with extensions. With all the different ways to chat online 7 Messaging Apps You Can Use on Your Phone or Computer 7 Messaging Apps You Can Use on Your Phone or Computer Want to send messages from both your phone and your computer? Grab one of these options to continue the conversation wherever you go! Read More , you might find yourself switching between multiple apps to get a grip on them. Rambox provides all these services under one roof, a bit like Pidgin Use Skype, Hangouts, and More With These Pidgin Extensions Use Skype, Hangouts, and More With These Pidgin Extensions Pidgin lets you use several messaging services in a single application. But it's not perfect, which means you need to do a little bit of work to access the most recent messaging services. Read More , but with support for more things. This is far more convenient than having multiple programs to do different jobs, and less resource intensive too. Many services have web frontends to access them, which Rambox lets you access via a useful interface. 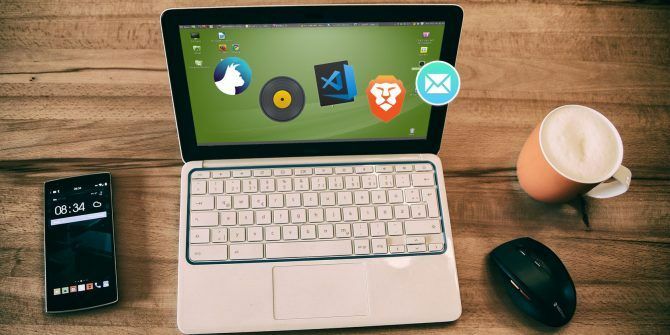 It’s a bit like Franz The 7 Best Chat Apps and Clients Better Than Official Messengers The 7 Best Chat Apps and Clients Better Than Official Messengers From all-in-one messengers to dedicated chat clients, here are some of the best chat apps to use on Windows, Mac, or Linux. Read More , which aims to do the same thing, except open source from the get go. You also don’t need to make an account to use it, which is a point in Rambox’s favor. Another useful thing that it provides is access to webmail clients You Should Ditch Webmail for a Desktop Email Client If... You Should Ditch Webmail for a Desktop Email Client If... A few years ago, webmail was all the rave. Wonder whether it's time to switch back to a desktop email client? Look no further. We show you the merits of a local mail service. Read More . This way, you can really have a program that bundles not only instant messaging, but email as well. Along with this, it’s possible to add custom services (web pages) of your own, making Rambox extremely versatile. This might be useful, for example, if there is no desktop app provided for a service. In my personal experience, I have about six different accounts for communication. A program such as Rambox would allow me to access all of them at once, without needing six different programs for them. Plus, less apps running means fewer computer resources How Much RAM Do You Really Need? How Much RAM Do You Really Need? RAM is like short term memory. The more you multitask, the more you need. Find out how much your computer has, how to get the most out of it, or how to get more. Read More used up. Fun fact: the Electron framework was originally designed for the Atom text editor Write or Code Faster in Your Linux Text Editor With Custom Themes Write or Code Faster in Your Linux Text Editor With Custom Themes Your Linux text editor doesn't have to look drab and "functional." Why not tweak it to enhance your productivity, whether scripting and coding or using the tool as a markup editor? Read More . From the ground up, it was designed to be something that could support building desktop programs. And given its use now, it succeeded. Visual Studio Code Visual Studio Code Is the Perfect Text and Scripting Editor for Mac Visual Studio Code Is the Perfect Text and Scripting Editor for Mac Microsoft's text editor supports myriad languages, and you don't even need to compare it to Xcode, since they serve different needs. Read More does the same as Atom, but better, with plenty of features to make it a very good editor. Some main features it advertises includes smart syntax highlighting, and autocomplete, along with Git integration Manage Your File Versioning Like a Programmer With Git Manage Your File Versioning Like a Programmer With Git Programmers created version control systems (VCS) to solve file version control problems. Let’s look at the basics of version control using the top system today, Git. Read More , and the like. Combined with support for extensions, it means that the program can be tailored to your specific needs. 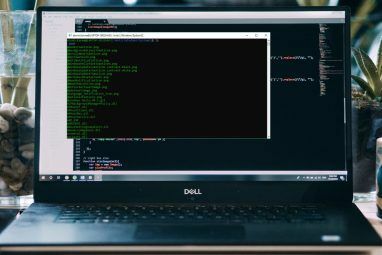 For example, with certain extensions, you can make Visual Studio Code a very capable application to write webpages 5 Steps to Understanding Basic HTML Code 5 Steps to Understanding Basic HTML Code HTML is the backbone of every webpage. If you're a beginner, let us walk you through the basic steps to understanding HTML. Read More . With the right tools, it’s easy to, say, have an editor that can tidy up the code you write, and even preview it inside the app itself. Considering all the features that this text editor provides, it’s definitely worth looking at. You may find it fits your needs rather well. From the ashes of Nylas Mail came Mailspring. 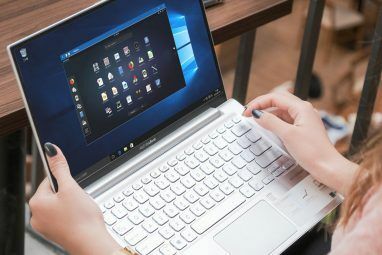 Like the program it was based on, it’s meant to be a desktop client for reading and composing emails, while also sporting a modern and flexible design. Mailspring is a fork of Nylas Mail Open Source Software and Forking: The Good, The Great and The Ugly Open Source Software and Forking: The Good, The Great and The Ugly Sometimes, the end-user benefits greatly from forks. Sometimes, the fork is done under a shroud of anger, hatred and animosity. Let's look at some examples. Read More (among others), touting itself as faster and lighter. 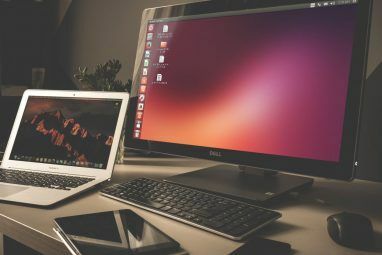 Compared to more traditional email clients Email on Linux: 4 of the Best Email Clients Available Email on Linux: 4 of the Best Email Clients Available Linux email clients still lag behind Windows and Mac, but the gap is closing. Here are some of the better ones I've found. Read More out there, it’s beautiful, and quite flexible to boot. Along with this, it has plenty of ways to change its appearance, if you don’t happen to like it. For example, there are multiple color themes (including a dark one), as well as different layouts. Since you likely check your mail using your browser, any hardware resources How Much RAM Do You Really Need? How Much RAM Do You Really Need? RAM is like short term memory. The more you multitask, the more you need. Find out how much your computer has, how to get the most out of it, or how to get more. Read More Mailspring uses (and it’s already quite light) shouldn’t be a big problem. So you might as well have a program that feels fast and looks good while doing it, and Mailspring fits that bill. One thing that might be limiting is how it locks you to four accounts as a max. Mailspring is free on its own, but also has a premium model, which has extra features, such as reminders, more than four accounts, and other things. If that’s not a problem though, you get access to a very nice looking, very intuitive email client. While there are certainly some programs that have no business going near Electron (for example, terminal emulators How to Customize Konsole, the Default KDE Terminal Emulator How to Customize Konsole, the Default KDE Terminal Emulator The Linux terminal is not going to become obsolete anytime soon, so it's time to embrace it. If you're ready to take that step, Konsole is a good place to start. Read More ), there are also many which can thrive using it. Those which use its powerful base to its fullest potential help offset the cost that comes with it. Plus, its fast development time means programs can focus on being full featured, or easy to use. Are there any programs you use that run using Electron? "Plus, thanks to its focus on privacy, Brave has some things which Chrome doesn’t. For example, it’s actually possible to clear browser history on exit, along with other things. In comparison, Chrome can only do this with extensions." - What about Ctrl+Shift+Del? Sorry, but Brave is awful and essentially, unusable.